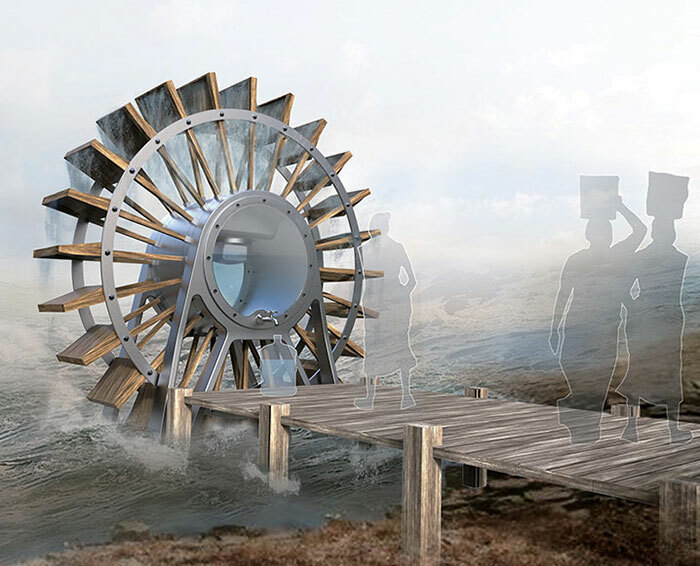 Waterwheel Filter provides fresh drinking water for human beings. 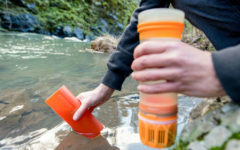 It is cleverly redesigned using the traditional waterwheel and modern water filtration equipment. While enjoying pure water, have you ever thought about the people in remote villages and towns who have no clean source of drinking water? The public Waterwheel Filter may be a design solution for this problem. It is cleverly designed by using traditional waterwheels and modern water filtration equipment, with the principle that water from the bucket will generate water continuously into the waterwheel, thus cleaning the dirty water by the pressure of the water flow. Not only does this system achieve clean drinking clean water, it also does not consume any external energy.In the past waterwheels were used to draw up water from the ground for irrigation purposes. With changes in time, the waterwheel has become obsolete. 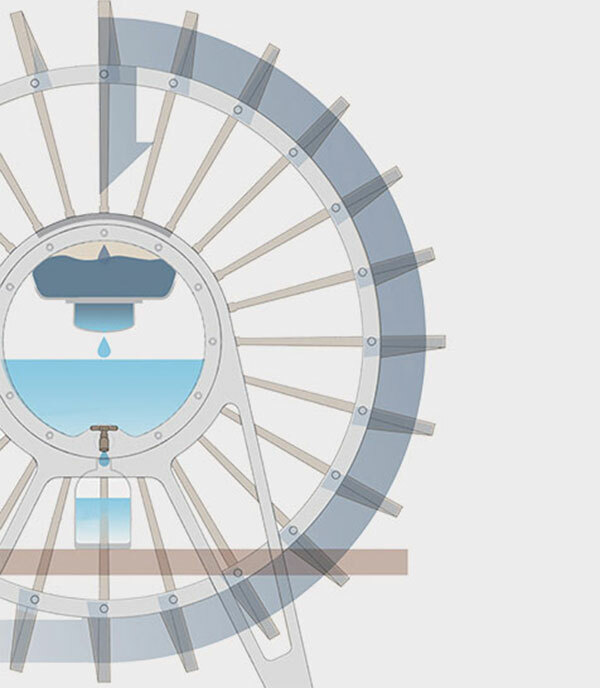 The design of Waterwheel Filter is created by using existing abandoned waterwheels, directly or indirectly, to carry forward the wisdom of the ancients and benefit the public. 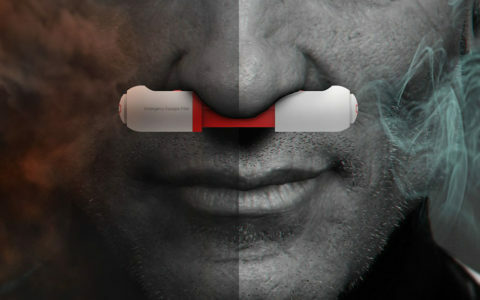 The Waterwheel Filter is a winner of the Red Dot Design Award for the year 2016.